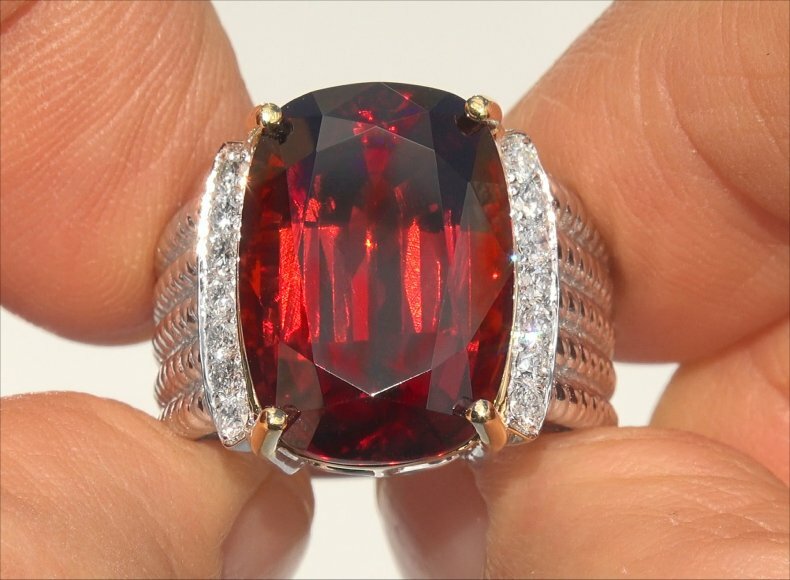 This gemstone collector’s dream boasts an unheard of 20.39 certified carat weight Top Gem “Internally Flawless” Clarity Garnet with the highly sought after Pure Red color found only in the finest specimens of this extremely rare gemstone. 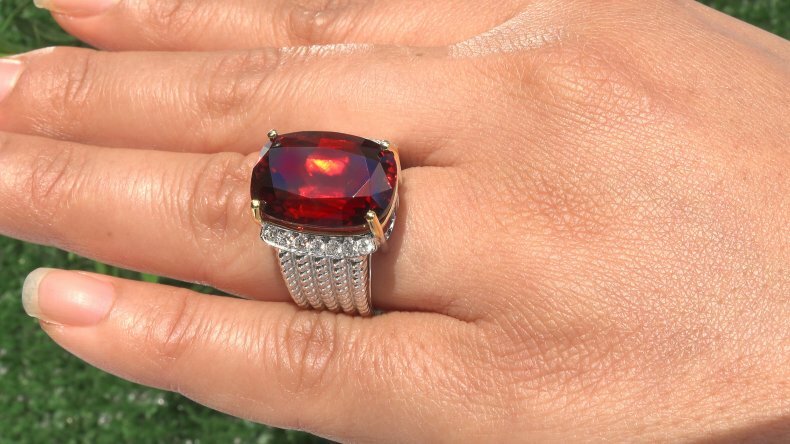 Tremendous Size & Stunning Rich Top Red Color “GIA Certified” 20.87 Carat Unheated & Untreated Natural Spessartine Garnet & Diamond Cocktail Ring. This gemstone collector’s dream boasts an unheard of 20.39 certified carat weight Top Gem “Internally Flawless” Clarity Garnet with the highly sought after Pure Red color found only in the finest specimens of this extremely rare gemstone. 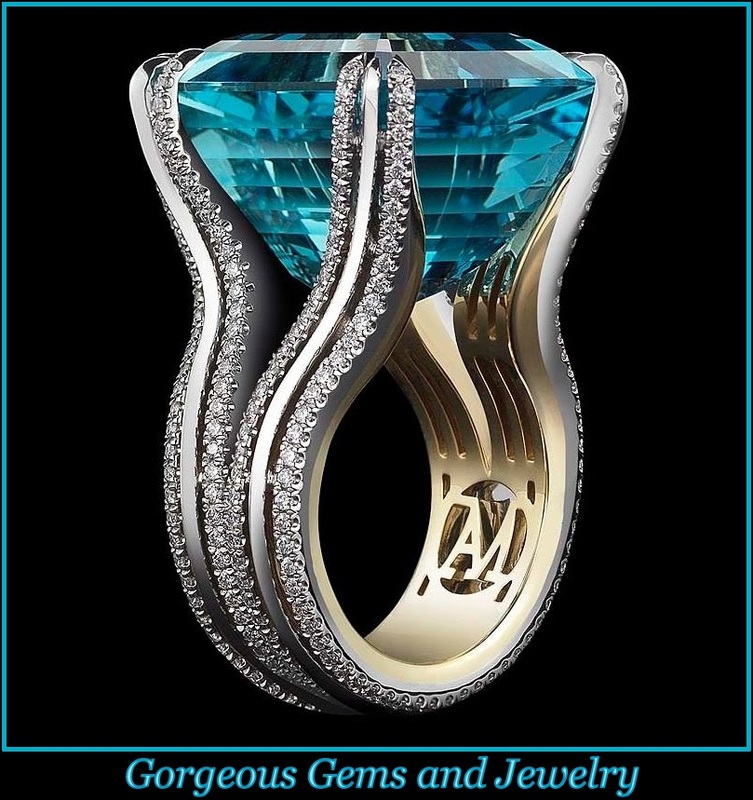 The exotic one of a kind gemstone is surrounded by 0.48 carats of extra fine quality VS-SI clarity colorless to near colorless F-G round brilliant accent diamonds totaling 14 large size hand cut and hand set beauties with extraordinary sparkle and fire. Also included is a GIA Diamond Quality Assurance Report. Set in a master crafted heavy solid 14k white gold setting with a jaw dropping design. GIA CERTIFIED 20.87 Carat Engagement – Anniversary – Cocktail Estate Ring featuring an Incredibly Rare Internally Flawless Clarity Natural UNHEATED & UNTREATED Spessartine Garnet set into SOLID 14k White & Yellow Gold and accented with sparkling diamonds. 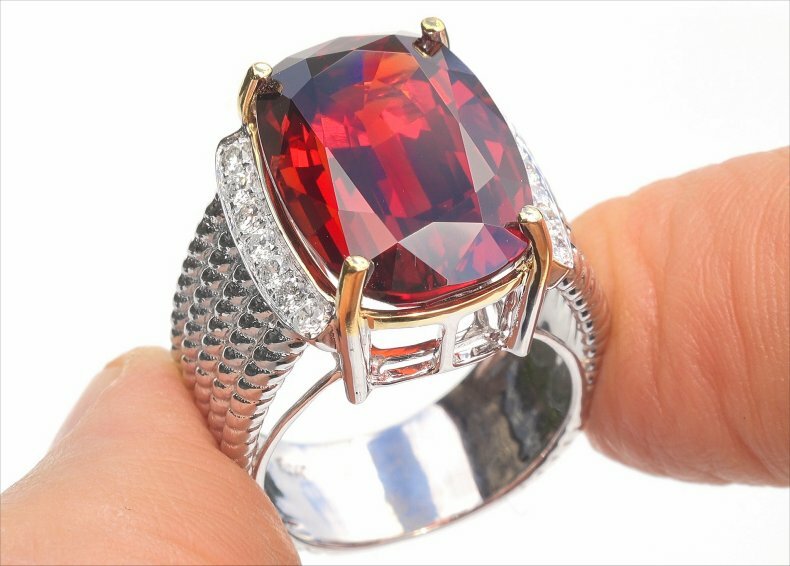 The “Jaw Dropping” garnet measures 17.78 mm x 12.80 mm x 8.85 mm with the highly sought after EXOTIC PURE Red Color and a Cushion Brilliant Cut weighing a WHOPPING 20.39 carats. There is also a total of 14 natural untreated accent diamonds (round brilliant) totaling an additional 0.48 carats set with the Spessartine Garnet in a classic style. These “Perfectly Clear” diamonds are graded at Near Flawless to Eye Clean “VS1-SI1” Clarity with COLORLESS & NEAR COLORLESS “F-G” Color so you can be assured of the OUTSTANDING quality, excellent brilliance, flash, sparkle & fire. The diamonds were also evaluated by GIA and a Diamond Assurance Report is included confirming the authenticity of the diamonds. The ring measures 17.80 mm x 12.90 mm at the head and sits up 10.60 mm off the finger. All of the beautiful gemstones are 100% genuine totaling a very substantial 20.87 carats and the ring is a U.S. sizable 7.50. The total ring weighs a HEAVY strong & sturdy 12.79 grams and is constructed of solid 14k White & Yellow Gold with exceptional PRIME QUALITY natural gems.